2018 Ford F-150 - more of everything we love about Ford’s full-size pickup. The Ford F-150 was already a very capable pickup as it was, but for 2018 Ford is upping the ante by tweaking or adding to the F-150’s engine lineup, and improving other areas such as safety, technology, and available versions. The 2018 Ford F-150’s entry-level engine has downsized some this year. The naturally aspirated V6 is now a 3.3-liter powertrain as opposed to a 3.5 liter, and it also now features port and direct fuel injection to go along with a higher compression ratio and improved internal efficiency. 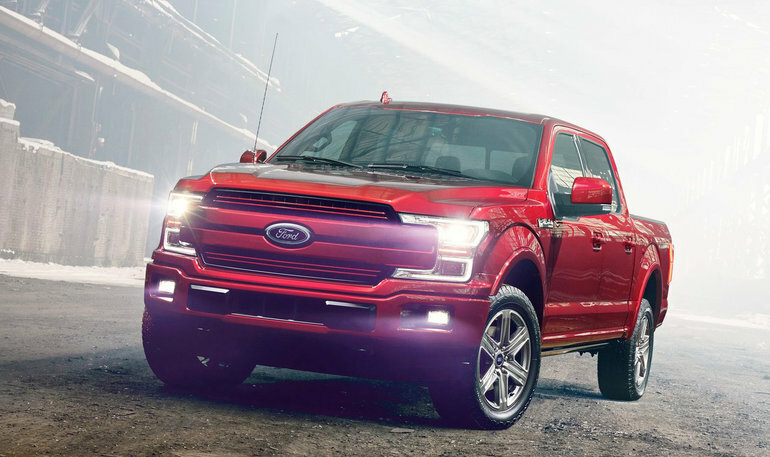 Power is now 290 horsepower while torque is set at 265 lb-ft. XL and XLT models get the 3.3-liter engine, but it is not offered in any of the other extensive 2018 F-150 versions. Next up is a 2.7-liter V6 engine which is optional on the first two trims and standard on Lariat models. Like the 3.3-liter unit, the 2.7-liter V6 has dual-injection and quite a bit of power. Indeed, owners get 325 horsepower and 400 lb-ft at just 2,750 rpm. Then comes the 3.5-liter V6 engine which offers 375 horsepower and is offered on every trim, from XL to Lariat, King Ranch, and Platinum. 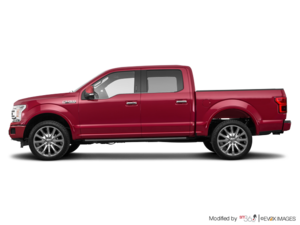 Opt for the F-150 Limited, and the 3.5-liter is standard. There’s a lot of power there, but buyers planning to put their 2018 Ford F-150 to work will enjoy the impressive 470 lb-ft of torque. Finally, the 5.0-liter V8 engine is back with 395 horsepower and 400 lb-ft of torque, and dual-injection is also included. This engine along with the 2.7-liter powertrain ditch their six-speed automatic in favor of a 10-speed gearbox that aims at improving fuel economy, especially combined with the stop/start feature. Oh, and there is also a diesel V6 on the way which is due to arrive in spring 2018. There are several other changes made to the 2018 Ford F-150. These include the Kingsville upgrade for the King Ranch model, and an onboard 4G LTE data connection system with Wi-Fi hotspot. Sync 3 infotainment is available, as are 21- and 22-inch wheels. In terms of safety, the 2018 Ford F-150 features adaptive cruise control with complete stop and traffic-follow functions. The maximum payload offered by the 2018 Ford F-150 is 3270 pounds while towing capacity is set at a maximum of 13,200 pounds. 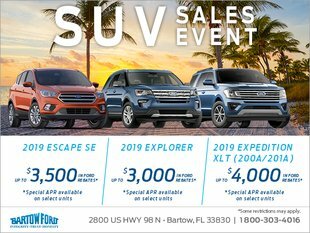 To learn more about the 2018 Ford F-150, contact us today at Bartow Ford!